Dr Pepper is a soft drink marketed as having a unique flavor. The drink was created in the 1880s by Charles Alderton of Waco, Texas and first served around 1885. 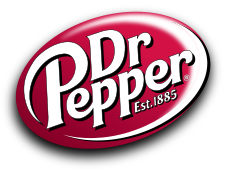 Dr Pepper was first nationally marketed in the United States in 1904, and is now also sold in Europe, Asia, Canada, Mexico, Australia, New Zealand (as an imported drink), South Africa (also as an imported drink), and South America. Variants include a no high fructose corn syrup version, Diet Dr Pepper, as well as a line of versions with additional flavors, first introduced in the 2000s. Many soft drink companies have captured new audiences and new markets by endorsing athletes and sports celebrities.